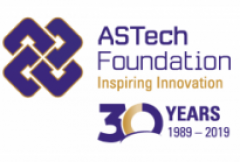 Why apply for an ASTech Award? As more industries and institutions around the world look toward digital solutions for their content management problems, innovative technology companies will answer the call. In the eLearning sector, Leara eLearning is making it easier than ever for educators and trainers to provide instructional material to their students. To ensure barriers to learning are removed, Calgary-based Leara eLearning developed Respond5, a multi-device content authoring tool that allows any instructor who has content to add it to a course and deliver that course to any device regardless of screen size or pixel dimensions. This makes the product highly compatible and available. Leara also provides eLearning solutions for clients in construction, transportation and medicine, while also improving the education sector. One of their early clients was PCL Construction, which has been using Leara’s technology to reach their learners on every device outside a traditional classroom setting. Although Leara’s clients have primarily been from industry, they have recently been shortlisted for an award for the best authoring tool for educators in K-12 and post-secondary. The advantage for educators is that it allows content to be updated live after it has been distributed to each individual student through multiple course cohorts. The other advantage comes from powerful analysis of quiz questions by integrating with Google analytics. This allows the educator to view a large collection of data easily to see how long students spent on each page and what the responses were to better address learning gaps. As Leara continues to develop their authoring tools, they are ensuring that both academia and industry will reap the benefits. Moving forward, Leara is partnering with a charity in Uganda that is using solar powered tablets to bring eBooks to students in areas without electricity or Internet. Through the partnership, Leara is providing their software to build courses to go beyond simply providing eBooks. It is this combination of infrastructure, people and nature that allows for the perfect environment to help Leara continue creating innovative eLearning technologies. ASTech 2017 © All rights reserved.